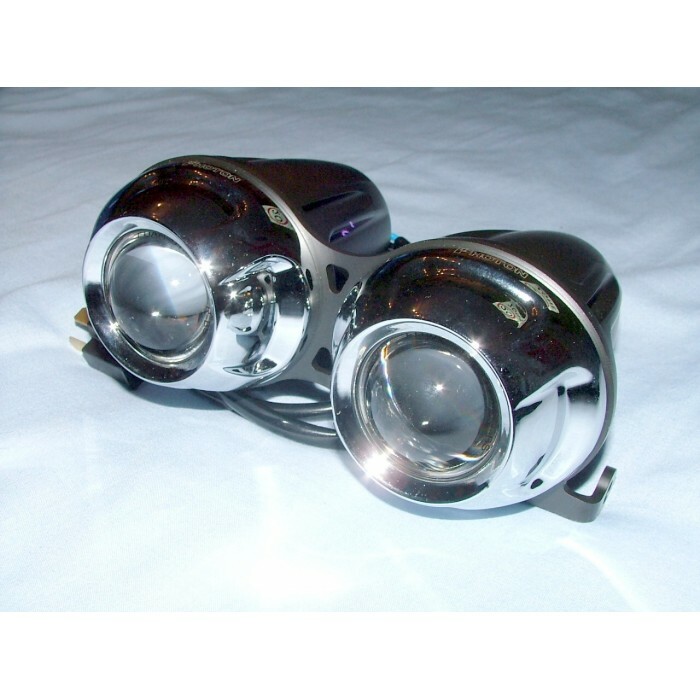 Unique alloy bodied twin projector headlight. Will the Photon take over from the ubiquitous Dominator as the headlamp of choice for the modern streetfighter? Easy to fit, easy to wire. 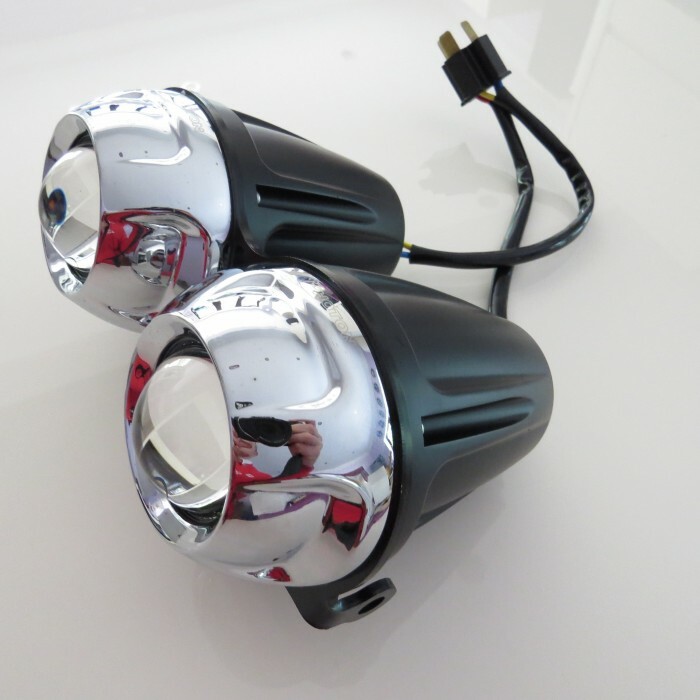 H1 35W HID conversion now available! 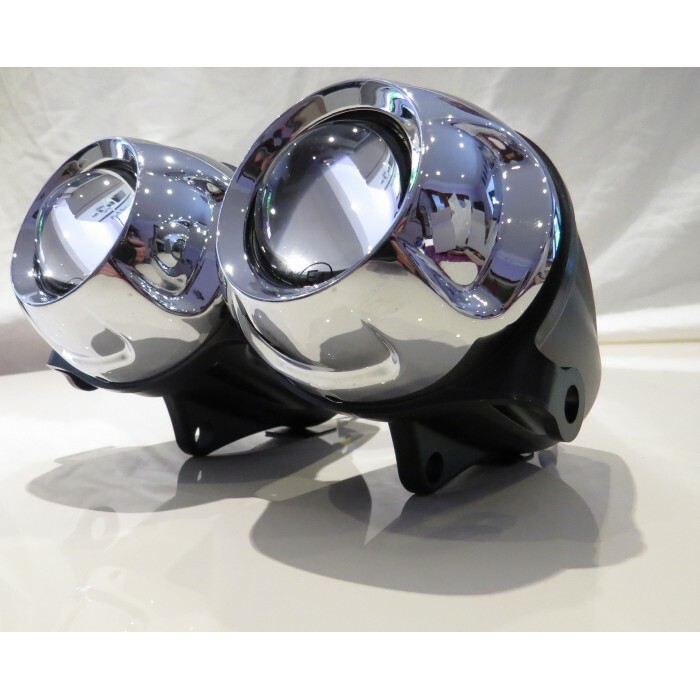 These superb alloy bodied Photon twin projector headlamps come as a pair of dip (low) & main (high) beam units bolted together in a bracket which is approx 8"/200mm wide ready to drop straight in to an existing standard motorcycle headlight bracket. They are pre-wired to a standard H4 headlamp plug ready to plug straight into most motorcycle looms with no modification. Look fantastic on a modern custom or streetfighter. 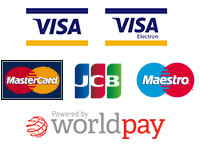 They accept the standard H1 bulb & the dip beam throws a flat beam pattern suitable for use in the UK or Europe. We can now offer a quality H1 35W HID conversion for these lights which perfectly retains the beam pattern but with the greater light output, brightness, white light & intensity of HID, plus lower power consumption, just £35.99each includes bulb, ballast & all wiring (Note you will need 2 of these to convert both lights).